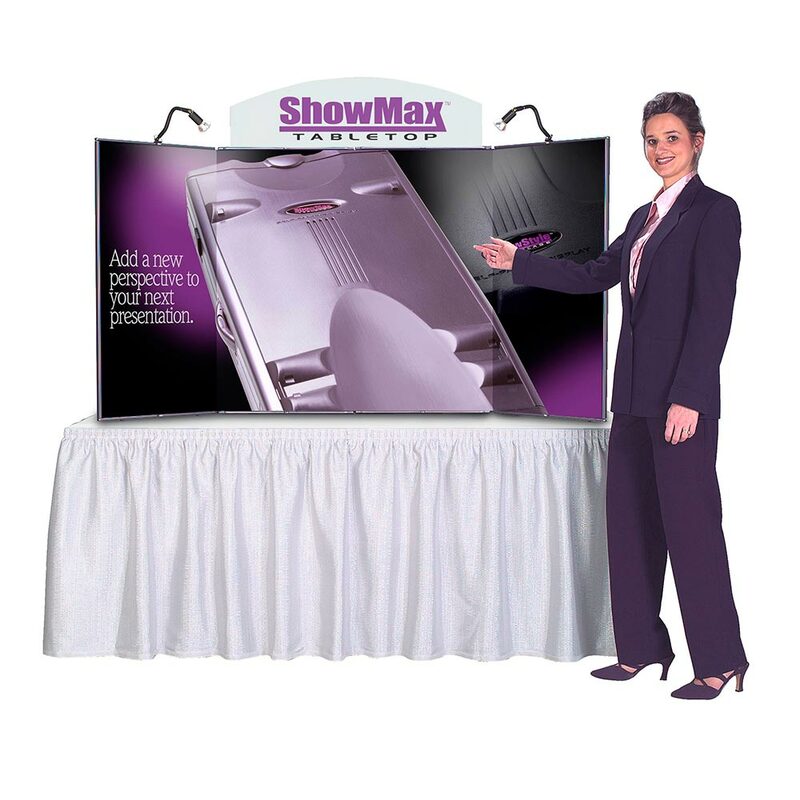 Don’t get lost in the crowd at your next trade show. 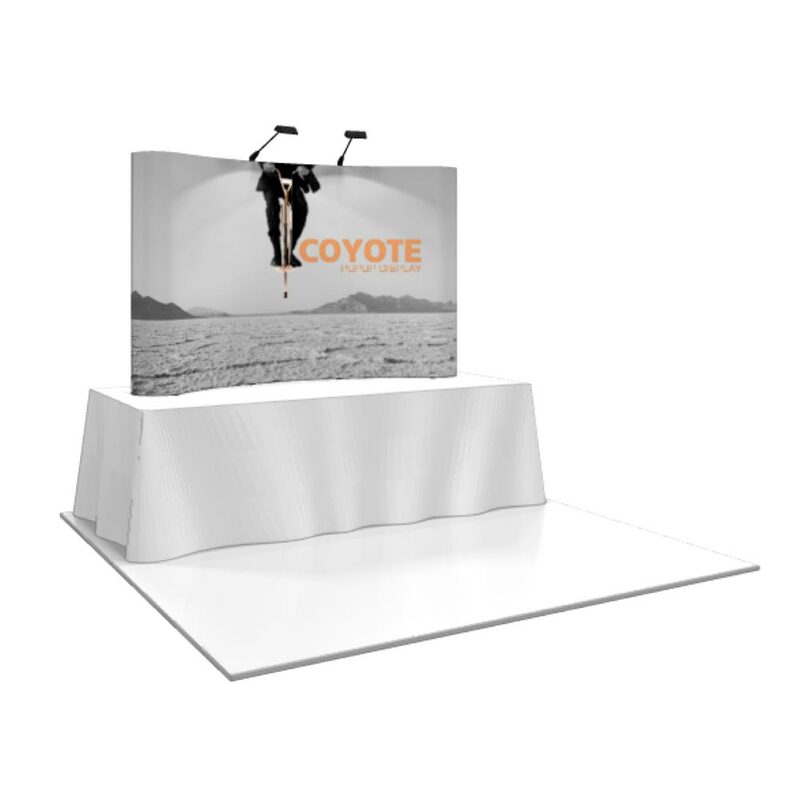 Stand up to the competition with professional, affordable tabletop displays from Swift Print Graphics & Displays. 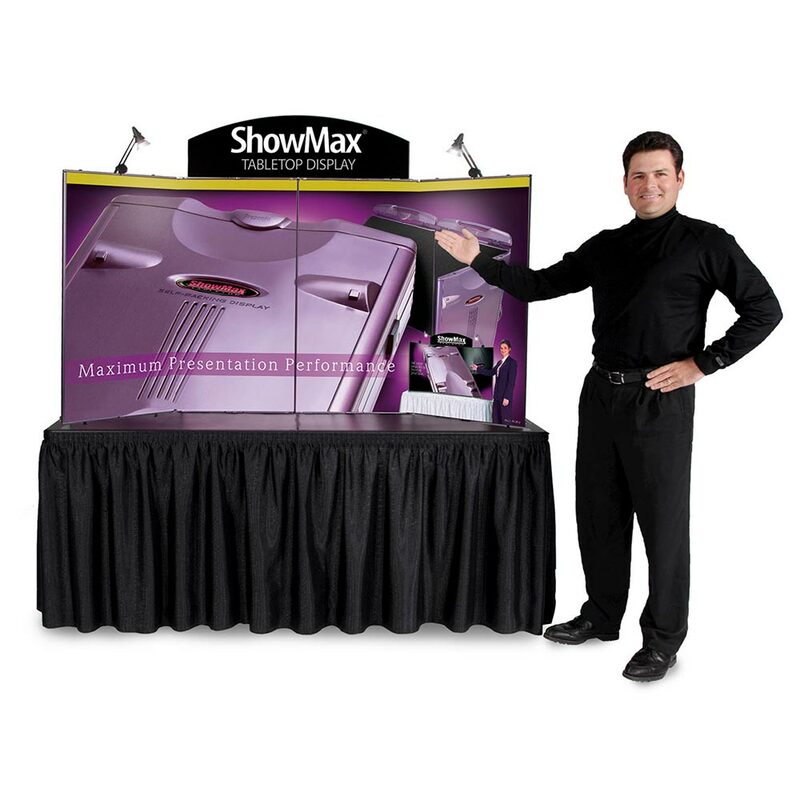 Our state-of-the-art equipment provides you with the best quality, professional trade show displays at an affordable price, depicting your company as the professional, successful business it is, even on a smaller budget. 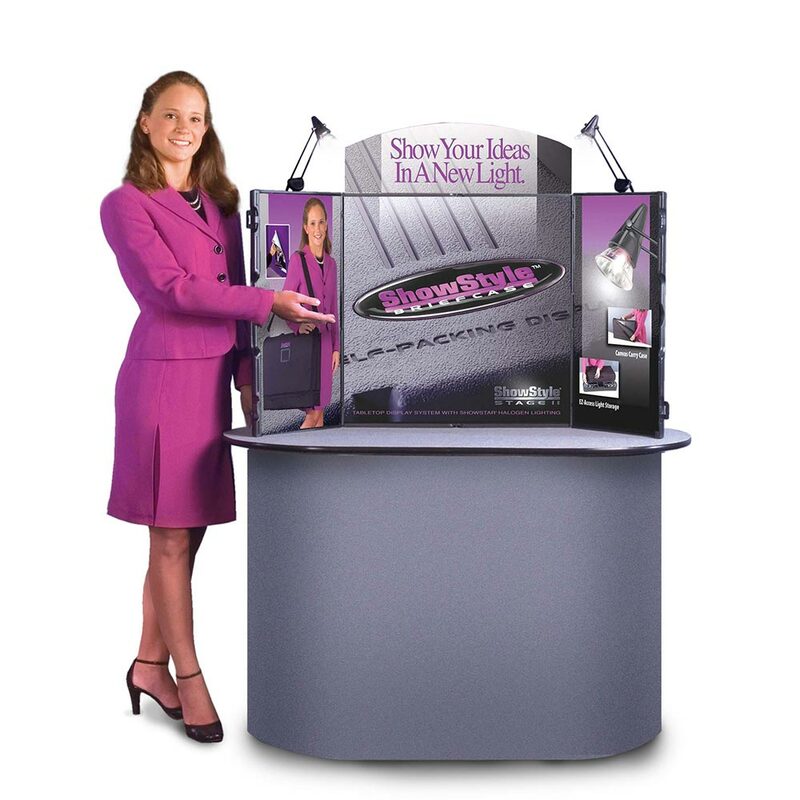 Transform your presentation table from a drab piece of furniture to a personalized display space. 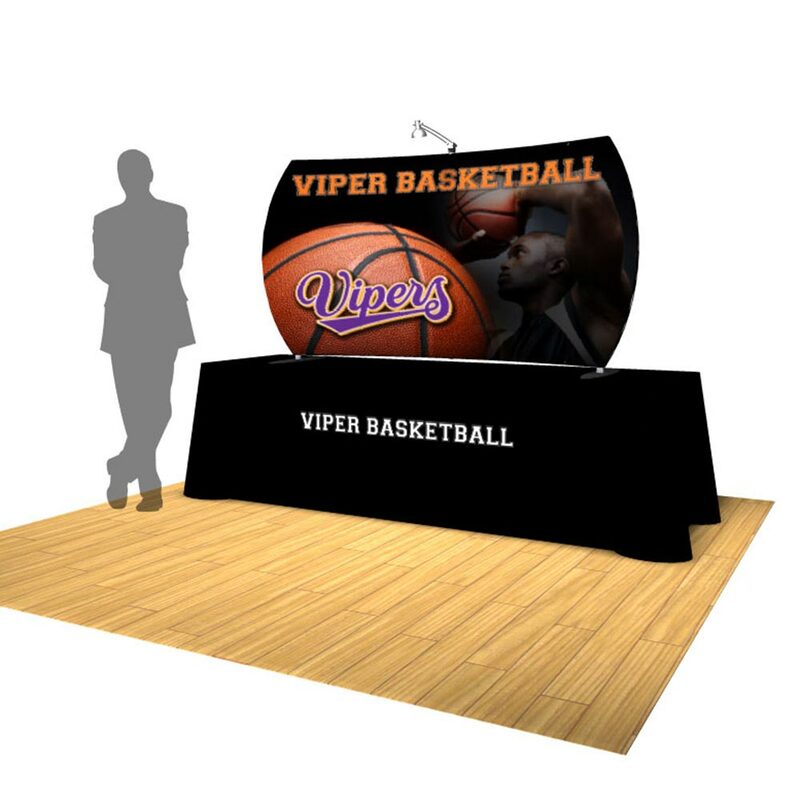 Our tabletop displays and signag can instantly feature your company logo, event details or special message at any venue. 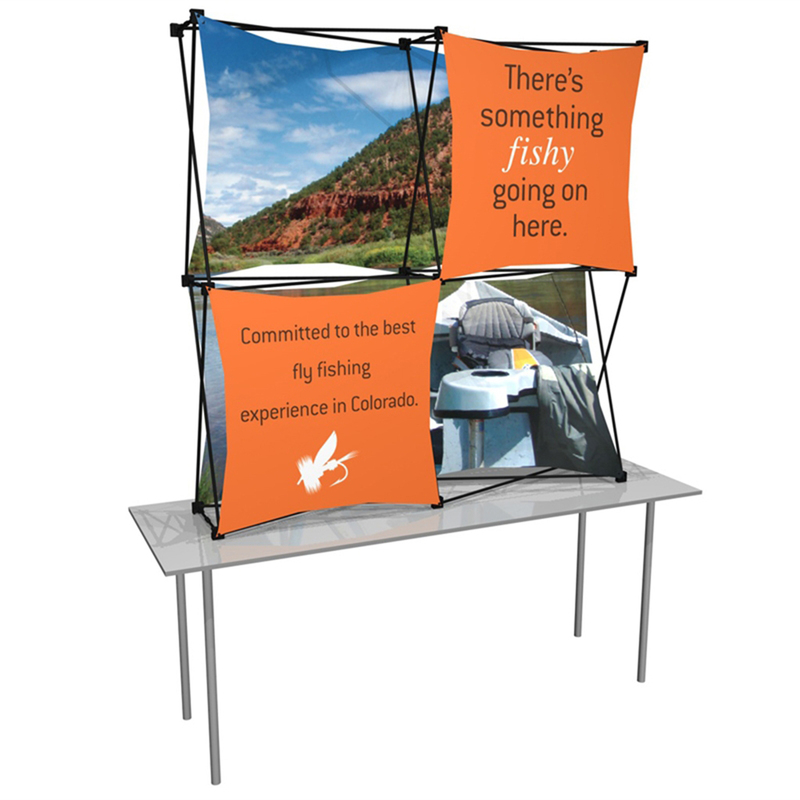 From briefcase-like table top displays with Velcro attaching graphics to retractable banners and pop up displays and X-Frame table top stands, we will strive to meet any display need you may have. 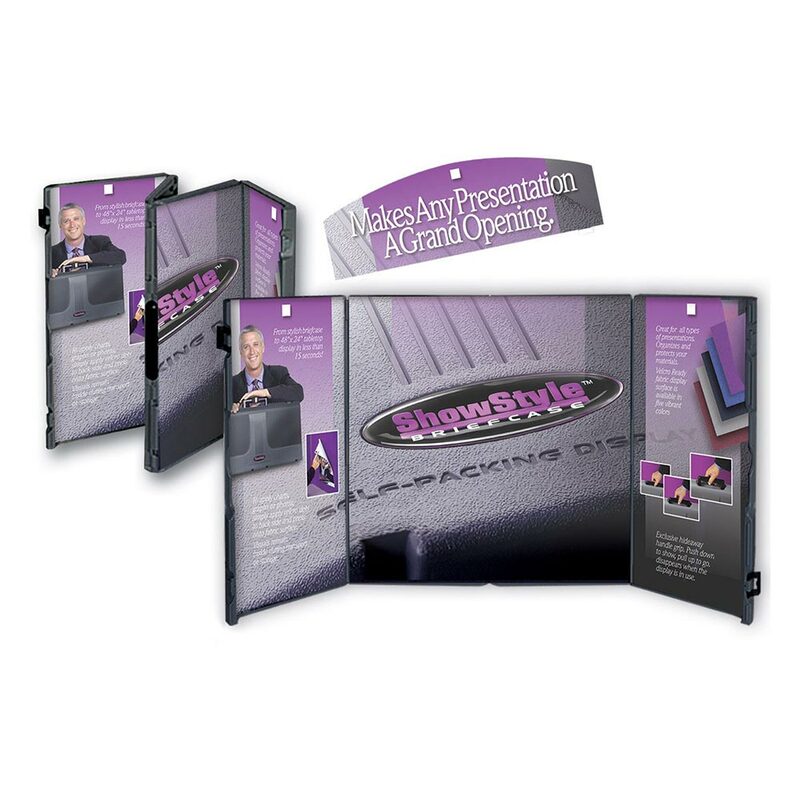 Don’t struggle while traveling with your display to and from each business presentation or important convention exhibit. 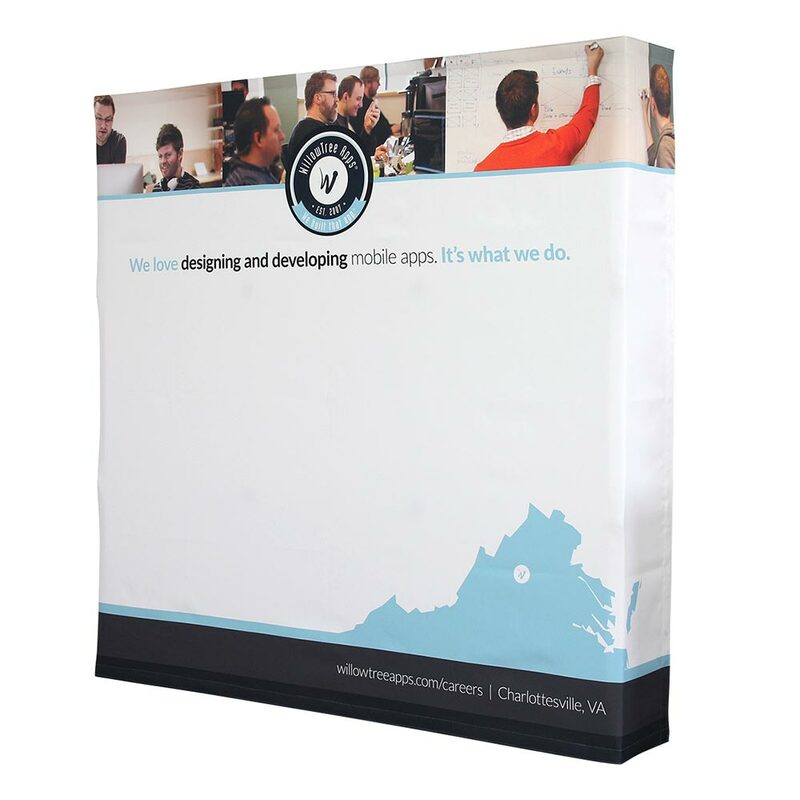 Use one of our lightweight and portable displays to make it easy to get to your destination without exhausting yourself. 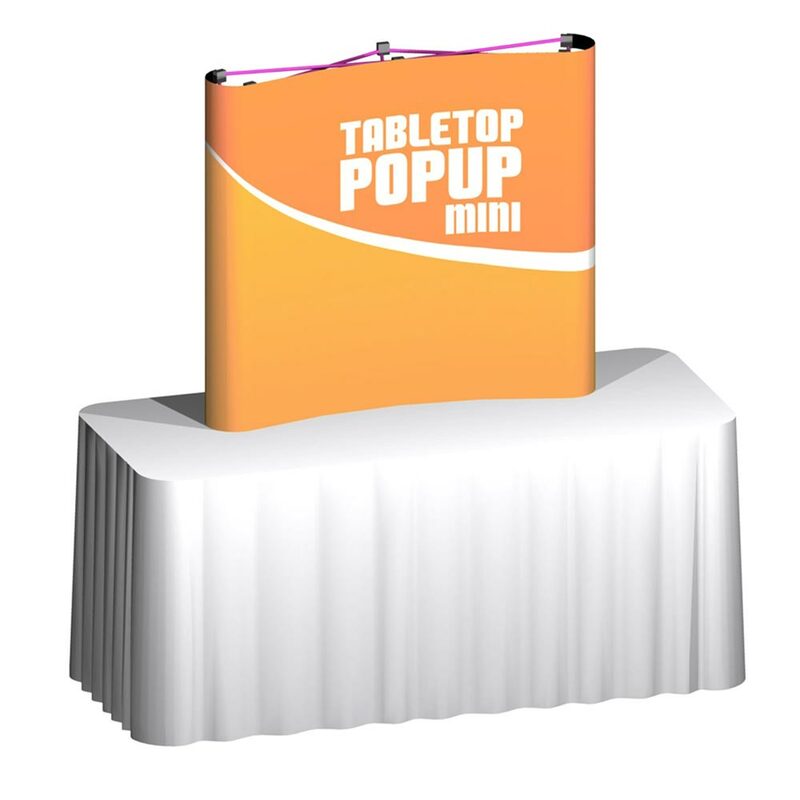 Contact us today for a custom table top banner display. You can see some of our most popular options by clicking here. 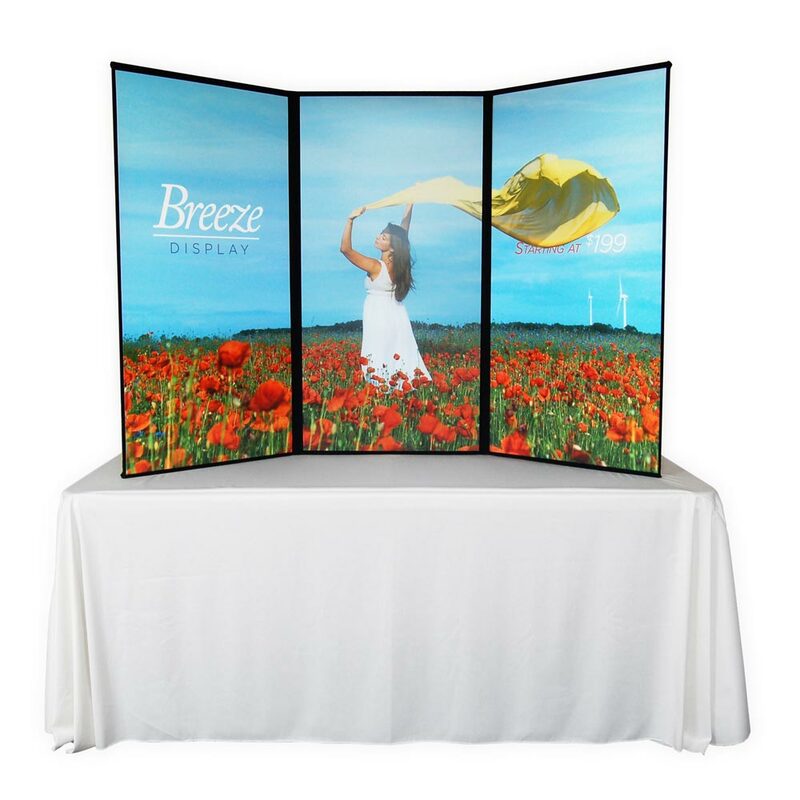 For a great article from Exhibitor Online for ideas when designing your table top display. Paper Matters, Make it Work For You! Spectacular and Absorbing! 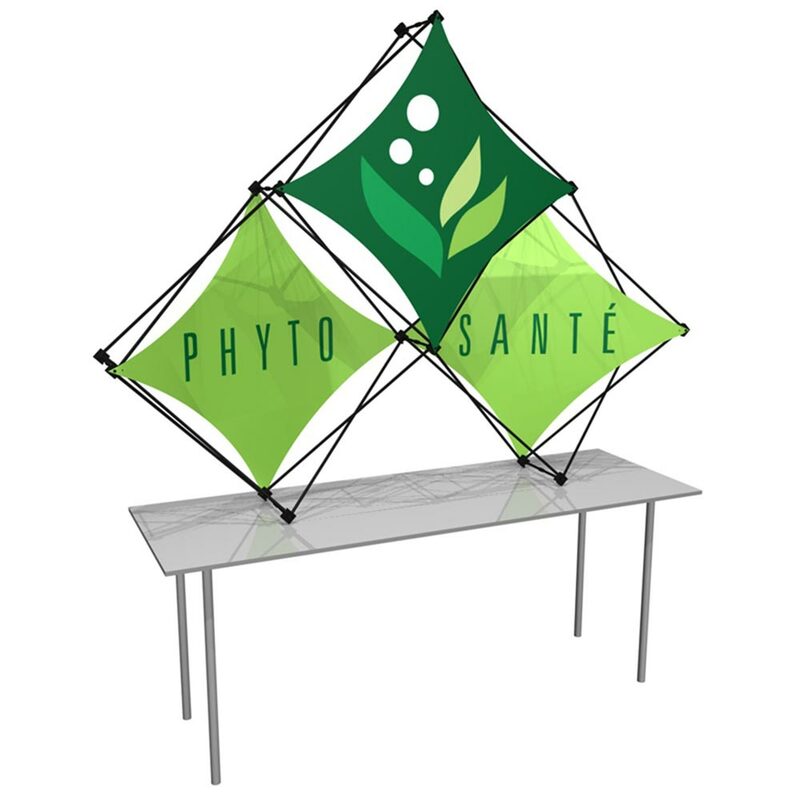 Check Out Event Graphics Like No Other. Let’s Go Shopping For Crazy Contour Cuts. Smart Use of Window Graphics. Hot or Cold, No Problem. Coming Soon ala Shake Shack!